DiggyVerse - Crafted by DiggyWig: Sneak Peek - Biomes, Food & Drink! This sneak peek is a little late (I was supposed to post it yesterday) but to make up for it I've made it an extra large one! The screenshot above is a Meadow with an English Orchard in the background! 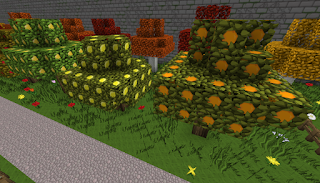 I've always loved the way the Biomes 'O Plenty author made his apple trees work, simply right-clicking the leaves to pick the fruit once it was ripe, so I decided to make my own fruit trees based on that idea. Fruit only grows on the outer leaves. 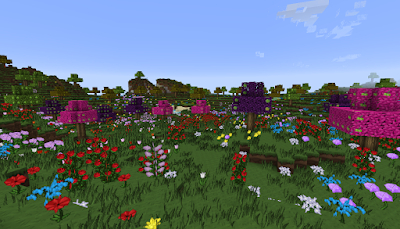 The Meadow biome also has an exclusive custom mob, Butterflies, with various colors! Food crops: Tomato, Onion, Parsnip, Chilli, Lettuce & Turnip. Drink Crops: Tea & Coffee. 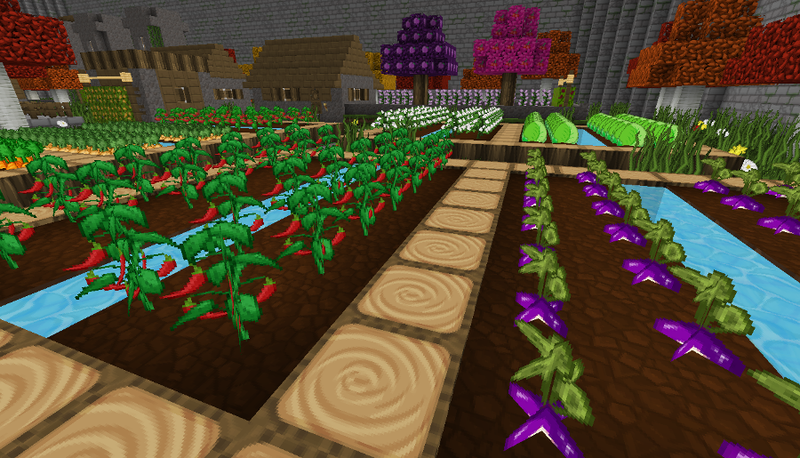 All the new crop items can be planted directly, like you plant carrots & potatoes in vanilla. 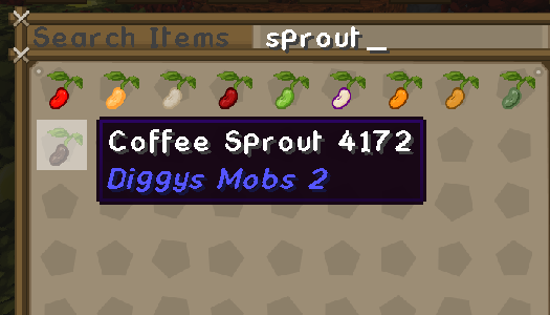 In addition though I've added 'Sprouts', for all my custom crops and also carrots & potatoes. 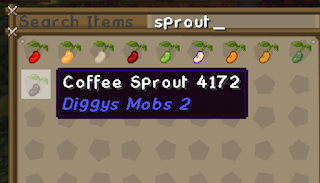 These Sprouts drop randomly from grass, with different sprouts dropping in different biomes, and each sprout type can be obtained from two different biomes. So, you'll need to do some exploring to gather all the different crop types! 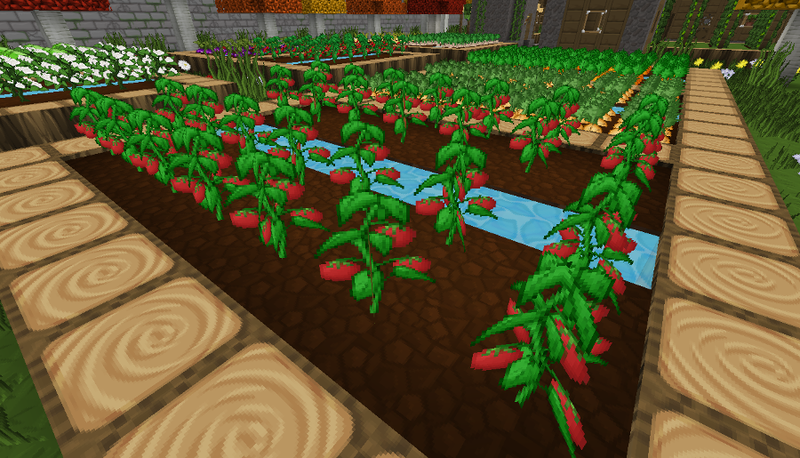 As you may have guessed fruits trees and more crops means that we're dropping the Useful Food mod in the 1.7.10 update. As you can see the selection includes sweet & savoury pies, extra breads, cheesecakes, pizzas, salads, pasta dishes, cakes, jellies, cereal, ice cream cones, waffles, pancakes, sandwiches, jams, stews, various meat dishes and soups, plus hot and cold drinks. What's more I've also added numerous cross-mod recipes allowing items from other mods, such as Barley from Natura and Fish Fillets from Aquaculture, to be used where appropriate! 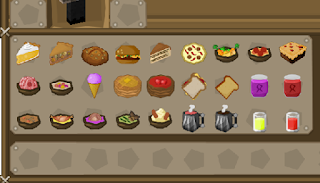 Anyone familiar with my minigames, going right back to Tekkit Classic, will remember the ongoing joke about waffles... well now the waffles are no longer a lie!